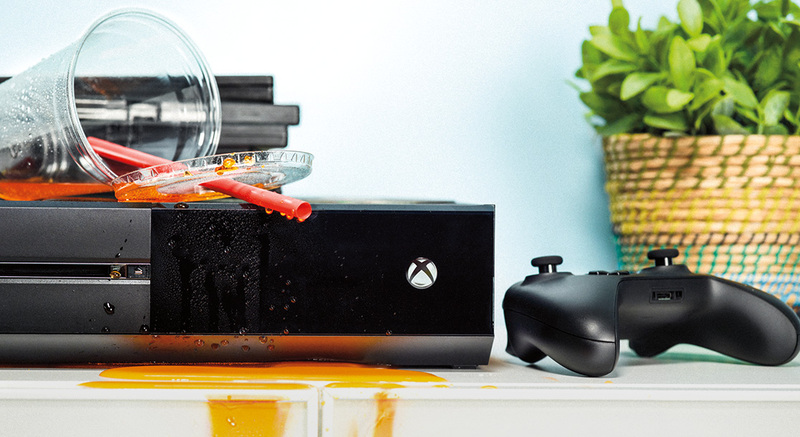 Keep your gaming consoles and handheld devices working like new with the help of over 20,000 Geek Squad® Agents who will get you up and running again if the unexpected happens. Why choose Geek Squad Protection? The Protection Plan is available for handheld devices, gaming consoles, and controllers and accessories that are packaged with them. We'll replace the original, nondisposable battery one time if it fails to hold a charge. We fix failures from dust, internal heat and humidity, plus defects in materials and workmanship. We'll provide a one-time replacement of a controller that was packaged with your gaming console if it is accidentally damaged. We'll handle the repair costs for equipment failure due to a power surge or fluctuation. We'll get your screen back to pristine condition if your pixels start looking weird or a shadow image sticks. A Product Replacement Plan is available for individual games, accessories and controllers that aren't packaged with a gaming console. "In my opinion, Geek Squad has proven to be well worth the price of an extended warranty. They always have knowledgeable agents who are more than willing to help customers by answering questions and getting to the root of issues quickly." "They're friendly, and can figure it out fast. If it can't be fixed, they find a solution." Need to replace a battery in your handheld gaming device? Bring your product in for repair or replacement and get questions answered in person. To make a reservation, you need to be signed into your My Best Buy account, or create a new account. You will be able to add Geek Squad Protection during your purchase process.